The care and protection of children are one of the most important roles that the Department of Social Development is responsible for in the Western Cape. 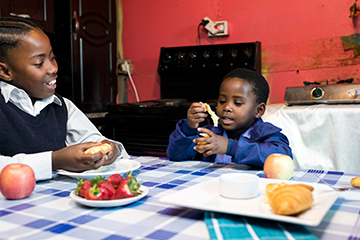 The Department of Social Development, through its Children and Families Programme, want to ensure that families at risk are given the opportunity and support to be self-reliant and able to care for and develop their children. We’re committed to building families and communities that care and protect children in order to reach their full potential. To make sure that children are cared for at all times, children are placed with safety parents. Children are placed with safety parents for a number of reasons outlined in the Children’s Act 38 of 2005. Reasons include neglect, being orphaned, lack of visible support, or maltreatment. When parents are unable to provide their children’s basic needs, the child’s protection and vulnerability are reduced. Have special needs (this can include chronic illnesses, disabilities and those children who display behaviours that are difficult to manage). What is a safety parent? A safety parent is a person over the age of 18 years old, who’s been recruited, screened and trained by the Department of Social Development to provide emergency care and protection within the community. As a safety parent, you can provide a temporary home for children at high risk, pending the children’s court investigation. If you have a passion to help children and interested in partnering with the Department of Social Development by opening up your home to care and safeguard vulnerable children, you can volunteer to become a safety parent. Once safety parents are screened, provision is made for the training. This training focuses on the roles and responsibilities of safety parents. Once the placement of the child has been finalised, safety parents will be given an emergency kit (e.g. in the case of a baby, nappies and formula milk will be provided) and a basic daily fee is paid towards the care of the child. Note: Safety parents differ from foster parents. A foster parent is recommended by the social worker to take in a child in need of foster care for a period determined by the Children’s Court. The foster parent can apply for a grant on behalf of the foster child. According to the Children’s Act, both safety and foster parents can have a maximum of six children in their care. Why become a safety parent? The Department of Social Development needs to increase its pool of safety parents in the province to provide in this crucial service. We’re all responsible to ensure that vulnerable children are cared for, protected and given the opportunity to enjoy a safe and loving environment. The South African Children’s Act provides for temporary safe care parents who take care of children at high risk. understand that there are no financial benefits other than the basic daily fee. 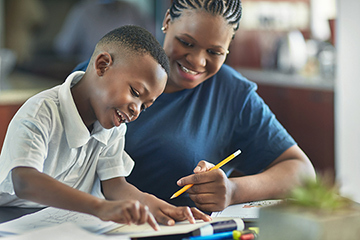 The South African Children’s Act allows for a child to stay with a safety parent for a period of 2 weeks up to a maximum of 3 months. If you’re interested to volunteer as a safety parent, you can contact your nearest Regional Social Development office or contact the DSD hotline on 0800 220 250.